Today’s workforce is more versatile that ever, with more and more organizations hiring remote freelancers to work closely with full-time staff. Innovative business collaboration methods can enhance a businesses productivity by twenty to thirty percent. In a cut-throat industry, this could mean the difference between failure and success. Industry leaders now recognize that collaboration is crucial to productivity, which wasn’t the case a few decades ago. Content collaboration platforms have the ability to revamp how teams and individuals work. They add insight and structure when collaboration entails unstructured data, enabling businesses to not only capture the data but to analyze it and find actionable patterns and results. In a recently published study, International Data Corporation (IDC) forecasts a steady growth for the content collaboration platforms market. The market is expected to hit $6.2 billion by 2019. A large portion of this growth will be driven by the need to connect unstructured collaboration with structured content-centric enterprise processes – primarily for decision making. Teams usually collaborate around content – whether that be video, image or document; and according to Gartner, by 2022 50 percent of large and mid-size organizations in mature regional markets will rely on a content collaboration platform to improve productivity and implement document workflows. With that in mind, let us make some predictions about what to expect in 2019. Data is at the heart of every enterprise. It is used to make decision, define the business strategy and even forecast future outcomes. So it’s not surprising that data ownership concerns are on the rise. Data ownership refers to both the responsibility for and procession of information. Ownership insinuates control as well as power. The control of information encompasses the ability to create, package, modify and extract benefit from the sale or removal of data, while retaining the right to assign these access privileges to others. Recent cybersecurity incidents have cast a spotlight on the ownership of data. Stringent regulations have also put the hammer down when matters of data ownership and privacy are concerned. There is little room for error and the focus will only grow. 2019 will see organizations federate data ownership into more complex organizational structures. Most organizations will ensure there is a central individual at the top of the chain, like a Chief Data Officer, to make sure that even federated data ownership can be kept in check. The General Data Protection Regulation (GDPR) presented a monumental challenge to companies since failure to comply meant a hefty fine. And while Google searches relating to GDPR may have flat-lined, that doesn’t diminish the regulations’ significance. The EU backed regulation segmented the World Wide Web, with varying rules in various regions and countries that supersede the Iranian Internet Isolation or the Chinese firewall. 2019 will likely see more and more privacy initiatives rise out of the woodwork. Around the globe, developing legislation intends to offer transparency to the journey of data, from consumer devices to business websites to data servers. India may soon be passing extensive data protection laws, as a Personal Data Protection Bill has been drafted. Chiefly adopted from the GDPR. Axios reported that Gail Slater, special assistant to the President for telecom, tech and cyber policy, is looking into what types of regulations, should be implemented in the United States. This spread of data regulation legislation will be the hallmark for significant progress in consumer protection, and increasing awareness of online privacy issues. The increasing popularity of social networking sites coupled with the rapid growth of the BYOD trend is crucial factors driving the growth of the enterprise collaboration market. However, a major hurdle is that of data ownership. This quandary stems from the fact that although a project may be using a specific system for all project communications and documentation, a single stakeholder still ‘owns’ the data. In most enterprise applications, the first control point for visibility is considered the record owner. In 2019 and beyond, data assets will be crucial to success. As the cloud computing industry continues to expand and gain maturity, more and more organizations are opting to operate within multi-cloud landscapes rolled out across multiple different service providers. According to a study by LogicMonitor, 83 percent of enterprise workloads will be in the cloud by 2020 – with 20 percent predicted to be private-cloud based and another 22 percent running on hybrid cloud solutions. Strategic partnering and flexible ecosystems will become crucial as the complexity and volume of cloud workloads grow and as vendor’s service/product portfolio expand. As business began to come to terms with data privacy legislation, they will have to take a closer look at how they handle data moving forward and train their employees accordingly. Processes and systems will have to be reviewed to make sure that they have the required levels of access, control, and audit. Privacy in itself has now become big business, with contractors, consultants, and lawyers lining up to advise companies on the best way to implement these changes and ensure their procedures and policies are in order. Supply and demand for data security professionals are on the rise. According to Indeed, the number of postings for cybersecurity roles increased by 3.5 percent between March of 2017 and March 2018. 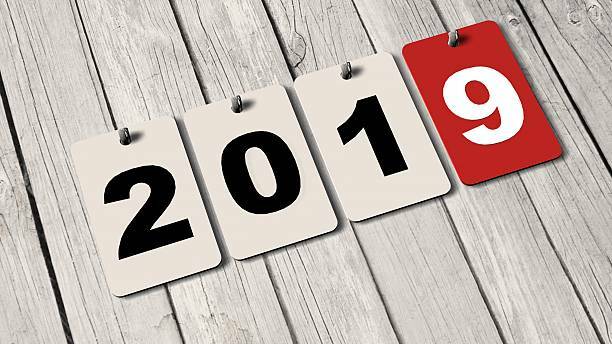 In 2019, business will extend their search to professionals with experience in managing compliance reforms. The mobile workforce has been granted the comfort they desire and the flexibility they seek to get their work done via the bring-your-own-device (BYOD) concept. It’s not uncommon for organizations to have several platforms that manage their various forms of communication. However, having too many tools and channels to engage with and monitor may hinder productivity. That is where integration and add-ons come into play, and enable multiple platforms and tools to link and seamlessly work with together. In 2019, expect to see integration and tighter coexistence between enterprise tools. Varying industries utilize EFSS for different purposes. A movie studio, for example, will have different file sharing needs from a finance firm. Enterprise collaboration platforms that provide the flexibility of integrating to other tools will be the top consideration. Compounding the risks of data leakage is the looming threat of hackers focused on exploiting the points of failure in your enterprise systems. They are getting craftier and more organized with each passing day – by 2019, they could cost businesses over $2.1 trillion globally. Despite declining susceptibility rates, organizations are still bombarded with spam emails and spam data. The global phishing protection market is forecasted to reach a valuation of $1.8 billion by 2025. The increased level of sophistication of cyber-attacks across a number of industries like finance and banking, defense, and consumer and retail banking has led to a drastic rise in protection against spear phishing. The decision makers are constantly innovating and increasingly seeking market expansion via various strategic M&A activities. Enterprise collaboration is driving the need for tighter integration between productivity and support platforms. According to 451 research, in 2016, buyers spent $3.7 billion in this space, more than double the spending of any year since 2007. This growth has largely been attributed to the rise of Software-as-a-service (SaaS) delivery models. This type of consolidation enables customers to have higher-quality options when choosing collaboration tools for their company. When competitors merge overlapping services and products, the end-user benefits. This not only reduces concerns about a vendors’ legitimacy but also any uncertainties around scale or support. Despite the proliferation of the misguided narrative that machines will eventually replace humans at work; It has already been established that AI has the power to revolutionize the way we work –positively. The use of machine learning to further automation efforts is here to stay, and we will have to interact with them collaboratively. Organizations are more efficient when automation works in tandem with content collaboration. Moving forward, the gains enterprises need will mostly come from automation, which enables workers to free up the time they would otherwise spend on repetitive tasks, and instead focus on work that generates a much higher return for the organization. The modern enterprise is a data-driven one. Most organizations have already come into the realization that the use of self-service and data democratization tools are crucial to improved decision making. This trend will continue in upcoming years as employees at various levels can no longer afford to waste time waiting for IT to generate a report. Due to the growth and innovations of self-service analytical tools, the process of data-governance will undergo major modifications as well. The future belongs to the Intelligent enterprise, which is capable of anticipating constantly changing regulatory, competitive and market challenges and turn them into profit and opportunity. Bitcoin valuation touched $20,000 per coin in December 2017! A few years back, self-proclaimed text experts were quick to dismiss crypto-currencies as a concept at best. We can bet anybody would be ready to eat their words only to get a Bitcoin or two in their digital wallets, today. At this point in time, blockchain technology is being looked upon as something revolutionary, and something that brings groundbreaking improvements in the ways and means of several industries. The technology is also called ‘distributed ledger’; that’s because the core idea of information management in blockchain is to store verifiable blocks spread across thousands of terminals in the network. This also means that each transaction or contract can be verified and follow up actions can be tied to this verification. This theoretical 100% control and credibility of transactions and exchanges are what makes blockchain technology an exciting proposition for the legal market. Here’s all you need to know to catch up on the impact of blockchain in the legal industry. Smart Contracts: An Existential Risk to Contract Lawyers? Traditionally, corporate contract management has been a market with strong roles for lawyers. Apart from drafting these contracts, lawyers play important roles in ensuring that both parties actually sign contracts physically, and then also take care of the physical storage of these documents. The power of blockchain is already changing the way contracts are being managed. These ‘smart contracts’ could be digitally created, and because of the distributed information on the network, could always be verified, and hence held legally binding. The crazy bit – these contracts can be executed without the requirement of a lawyer, directly between the two parties involved. Already, startups in the legal-blockchain interface market are providing platforms for individuals to enter into smart contracts, without the need of a traditional lawyer. Of course, enterprising law firms have an opportunity to activate an entirely digital-dependent revenue chain, offering smart contract services. As dismal as it sounds, artists have a difficult time getting their intellectual property rights honored, even in spite of there being clear legal guidelines for the same. Because of the nature of the product, the complexity of distribution, and lack of transparency in the way content streaming companies operate, the intellectual property market becomes highly complex. However, blockchain can bring order to this otherwise chaotic marketplace, and that’s by tying the artistic content to a blockchain powered platform. Startups such as NKOR, for instance, offer a service where artists can register their intellectual property. Also, there is a lot of excitement around concepts such as coding royalties-distribution into the blockchain, to ensure immediate disbursement of the artists’ dues. Legal firms can expand into this space and become the intellectual property protectors for artists throughout their careers. Apart from opening new revenue channels for law firms, blockchain technology has superb operational benefits to bless the industry with. Before that, let’s understand the 4 attributes of blockchain methodology that make it substantially secure for data or value exchange. Information is very difficult to alter because that requires making alterations in several data locations. For new data to enter the blockchain, multiple sources are needed. The steps involved in information and value exchange are very little and the time taken is very less, which leaves very little scope for manipulation. 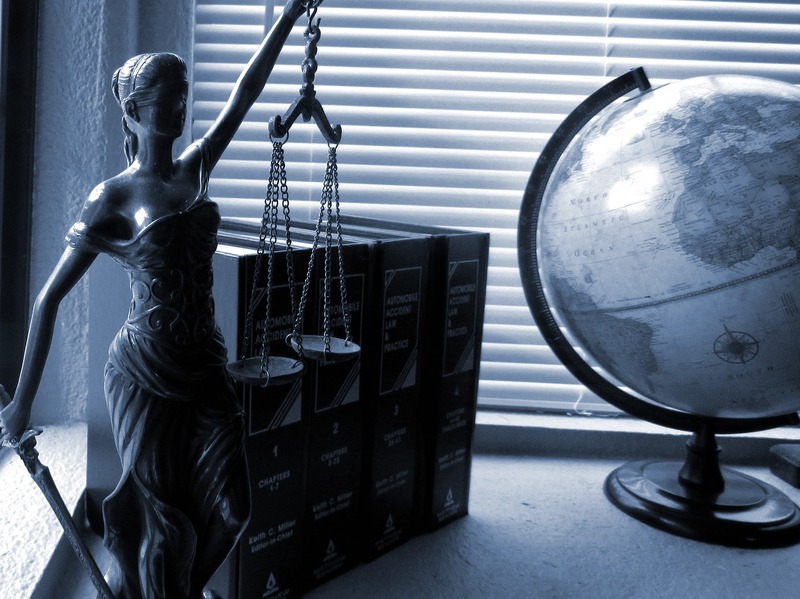 Today, law firms face severe compliance challenges. The nature of modern businesses means that these firms need to securely exchange information among teams, clients, and contractors while maintaining strict control and clarity over responsibilities and jurisdiction as data flows across various parties. This makes blockchain a promising platform for law firms to manage how they share data, without risking leakage and ambiguity over responsibilities and ownership. It’s dismal how real estate market is exposed to severe litigation risks because state and central governments continue to struggle with outdated means and methods of information management. Blockchain, however, can solve the problem, by providing a reliable method for all stakeholders to verify the ownership of land by claimants. Also, important information such as the location and area of the land, and the dates on which important exchanges took place, can all be stored in the public blockchain. More than a decade back, the digital media industry became huge, which led to maturation of the digital media usage related legal market. Today, we are at a point where there are tremendous opportunities for enterprising law firms to become experts in blockchain law, understand the implications of the technology on different markets, and identify stakeholders that will need representation. In the years to come, as the body of law governing blockchain matures, the demand for blockchain lawyers will surge. Chain of custody refers to a carefully maintained paper trail for all evidence assets, which is maintained until the time the evidence is produced in court. If the chain of custody is not properly maintained, the defense attorney can easily file a motion to make the prosecution’s evidence inadmissible. Physical evidence’s chain of custody is a difficult enough problem for law firms; throw in digital evidence, and the challenges become even more complex. Here, blockchain can offer the dual solution of not only ensuring the maintenance of a reliable chain of custody (particularly for digital evidence) but also help in secure storage of data. This means that evidence management will cease to be a headache for law firms in the times to come. From the discussion till now, it’s clear that blockchain will alter the legal market for the better, eliminating several operational bottlenecks as we know them today and opening new revenue generation channels for law firms. Also, because of the inherent information security capabilities of the blockchain, it’s expected that the technology will help law firms secure their information, and offer related services to a wide range of industries. Customer Relationships Management (CRM) software have been around for quite some time now. Some businesses use them as basic sales management solutions while others look to make the most of their features for wholesome customer interactions management. Like every technology, CRM tools also underwent changes throughout 2017, and 2018 will be no different. A bit of planning, prior research, and a basic understanding of the latest trends from the CRM universe will help businesses a lot. We cover all this and more in this guide. Read on. Back in the 1980s, CRM software hardly did anything apart from helping businesses manage contacts. In the 1990s, CRM software became more dynamic and started tracking customer interactions. By the beginning of 2000, cloud-based CRM solutions expanded the market size, as these applications became more accessible for all kinds of businesses. Since then, CRM has remained on track in terms of adding more functionality to the core software, delivering business value in the process. Today, the business of all scales and sizes, across markets, rely on CRM software for customers interaction management, customer lifetime value enhancement, and customer support, among many other related functions. This makes it crucial for IT managers and leaders to be aware of the latest enhancements being made to CRM software. This guide will help, for sure. Artificial Intelligence algorithms are affecting transformations across business functions. In 2018, the effects will be seen on the CRM front as well. AI algorithms will be able to help customer support personnel in several ways. AI-powered CRM software will be able to analyze end user level interactions, learn from the patterns, improve workflows by incremental automation, and hence free up a lot of man-hours for more value adding work. AI-based CRM systems will be able to tap into the TBs of enterprise data to find out insightful patterns pertaining to customer-business interactions. Also, this CRM software will be able to predict using patterns and make crucial decisions related to existing customers and new leads, reducing guesswork and cold calling for end users. This personalized automation is truly the next big leap that CRM software is ready to take. A very prominent trend evident in the growth of CRM in the past few years is the integration of CRM with social media. With social media, customer-business interactions take place at hours the customer decides, in informal language, and are often initiated by the customer instead of the company. Your customer’s relationships management efforts need to be focused on the channels where your customers exist. Already, enterprises have included social media channels into their CRM mix. In 2018, the leading CRM software vendors are expected to release extended suites of social media-powered CRM solutions. These suites will comprise advanced social media monitoring and listening functionalities. The net result – enterprises will be able to detect customer sentiments on social media, participate in interactions without explicitly being called out to, and take control of customer interactions on all social media channels. This also extends to mobile devices, enabling end users to resolve customer queries on social channels on the move. Apart from the individual level, personalized workflow automation we talked about earlier, 2018 will also witness an underlying improvement in customer sales journey automation. Advanced CRM software will be able to tap into the massive enterprise data to design multi-tiered and highly automated customer journeys. This will enable businesses to effectively manage entire customer journeys, from lead stage to loyalty stage, with minimal sales personnel intervention. Lead scoring and behavioral marketing will further improve the effectiveness of these automatic customer journey mappings. CRM software cut across quite a few business functions, namely – sales, marketing, and customer support. This also means that CRM solutions must be able to deliver more than a mere peripheral feature set related to these aspects. In 2018, CRM software vendors will raise their game in terms of allowing 3rd party integrations of their core software with other tools. This is also expected to be accompanied by a call for industry standard interfaces that connect multiple services and solutions. Though the modern breed of CRM software offers a fair amount of integration already, there is still a long way to go before single-vendor CRM suites can deliver intelligent synchronization across platforms. Mobile and web-powered solutions need to work in tandem with the enterprise’s core CRM, and this year will see the onset of these futuristic CRM tools. Gartner predicts that businesses that are not able to implement a stellar customer interactions strategy stand to lose 25% of potential new revenue. Enterprises are looking to formulate multi-dimensional and multi-channel CRM strategies. 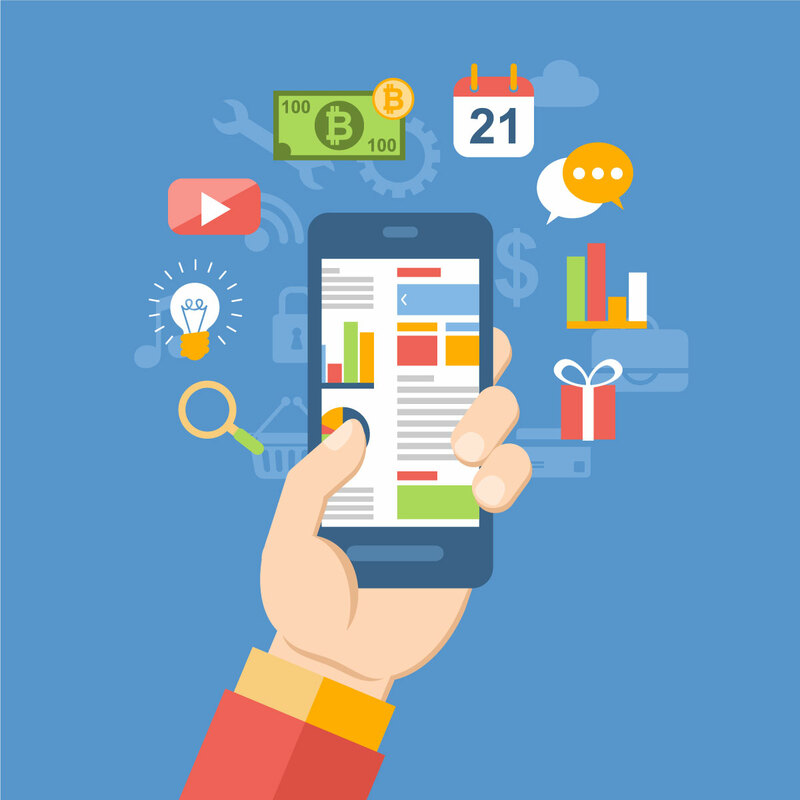 Proactive and intelligent messaging is a crucial element of these advanced CRM strategies. Personalization is another critical aspect of this long-term CRM strategy. Thankfully, the next-gen breed of CRM software will come loaded with tools and functionalities that make it easy and hassle-free for businesses to achieve success with their CRM strategies. These tools will be able to ‘estimate’ when to send a message to audiences, and will also be able to personalize and contextualize the content of the message accordingly. Chatbots are already exhibiting their prowess in making use of oceans of customer demographics and interactions history data to manage automated messaging. With similar functionalities, CRM software will be able to send the right message, to the right audience, at the right time, and using the right communication channel. It’s clear how big data, analytics, machine learning, and artificial intelligence will bring about significant improvements in CRM software in 2018. IT leads and managers need to stay in sync with the latest from the world of CRM software so that they can commission the right tool, and beat their competitors. IoT devices are around us in every direction we’d care to look. These devices are helping doctors monitor patients from far away continents, assisting factory floor managers in identifying assembly line parts that will need maintenance in the coming few days, and monitoring vehicle performance and driving improvements in prototypes. IoT technologies are re-shaping customer journeys in unimaginable personalized ways, helping businesses explore whole new vistas of business growth and service delivery. 2017 was an exciting year that witnessed the adoption of IoT technologies by all kinds of businesses. As we move into 2018, here’s a guide to help you identify the IoT trends that will make the buzz throughout the year. Though this might sound ridiculously obvious, the trend deserves a mention nevertheless. That’s because some very specific industries and business processes stand to be transformed for the better by IoT devices in the very near future. Among these, retail is at the top, with smart devices already helping companies explore new service delivery and revenue generation channels. Healthcare and industrial supply chain are the other two industries where IoT is on the brink of bringing in revolutionary changes. Wearable devices for round the clock patient monitoring in health-care, and use of stock quality monitoring IoT technology in industrial supply chains are already a reality. Throughout 2018, we will witness more and more processes and applications bring driven by IoT devices and technologies in industries apart from retail. Much like what we observed in cloud computing software as a service (SaaS) space throughout 2011-2015, IoT service vendors will be driven by the need to differentiate. The result – there will be a wave of fragmentation sweeping across the industry. Though the availability of niche IoT players will benefit SMBs, enterprises will have to face the challenge of working with multiple vendors under multiple contracts for the execution of their IoT strategy. Compatibility issues will hit companies in abundance as they try to make things work with multiple IoT systems, all of which might not be made with a view to integrating with other systems. Industry giants, thankfully, realize this problem and are already calling out for standardization in IoT technology protocols. Qualcomm, for instance, is vocal about the potential security challenges that fragmented IoT infrastructures could imply. In 2018, it will be interesting to note whether any serious work gets done as far as standardization of IoT technologies is concerned. A vendor for predictive maintenance algorithms, another for data analytics, yet another from edge computing infrastructure, and still another for smart visual reporting – that’s not a far-fetched reality, and something that enterprises are likely to encounter and experience in 2018. Of course, this makes the IoT ecosystem very complex. The long-term integration challenges that such a complex system brings to the table are hard to appreciate and understand well after the implementation phase of IoT projects. Also, so many moving parts of your IoT vehicle mean that the threat surface area increases. In such a situation, the art of ensuring thorough system security and data privacy becomes a challenge for enterprises. This calls for IT leads to work in close conjugation with the CISO office, to anticipate and address compatibility, privacy, and security challenges for IoT systems. Low power – Wide area network (LP-WAN) technology is advancing at rapid pace. This technology is all about enabling wide area network connectivity across a large area, without using much power. The impact of opening up newer markets and applications for IoT could be huge. Traditionally, the business processes and applications that have not been considered for IoT powered transformations because of lack of affordable internet connectivity, will be open and relevant for IoT projects once LP-WAN projects start getting commissioned at a commercial scale. In spite of the rapid leaps made by IoT technology vendors in the past couple of years, implementations remain mostly on-premise. This makes the cost of entry from SMBs and small enterprises prohibitively high. However, there has been clear progress in SaaS-based IoT services, and the market is all set to expand throughout 2018. For enterprises, this means that they can commission small IoT projects without spending a lot. Whether you wish to get started with localized telemetry data analysis or want a machine learning expert to help you draw out tremendous insight from your data lakes, you will have a SaaS-based IoT service to consider in 2018. Device firmware, server-side scripts, different connectivity and communication technologies, machine learning – this is just the starting point. Instead of managing all this complexity on your premise, you’d want to consider affordable and scalable SaaS alternatives. IoT means massive data. And the success of IoT projects invariably depends on the speed, accuracy, and costs of data processing. Among these, the speed of processing is crucial for certain important IoT applications such as unmanned areal vehicles. For all these, it’s important to perform data analytics close to the source of data, so that propagation delay to and from the central analytics engine and database. To achieve this, edge computing is a practical option for enterprises. IoT leaders like Dell, HPE, and Cisco, for instance, are already investing in edge computing infrastructure. Of course, all the buzz around edge computing as a successor to cloud computing is mere hype, because both infrastructures need to co-exist for enterprises to be able to realize IoT projects with low latency tolerance. A Business Insider report suggests that business spending on IoT will be $6 trillion by 2021. Expect 2018 to be a milestone year in this roller coaster of a journey. Track the trends mentioned in this guide to make quick and smart moves for your enterprise. Blockchain as a Service (BaaS) for Enterprise – Jump on the Bandwagon? The democratization of high-speed Internet coupled with the development of distributed information exchanges gave rise to the development of blockchain technology. Blockchain is the underlying technology that powers the crypto-currency Bitcoin; however, its uses transcend that. Simply put, a blockchain is public, shared distributed ledger that stores the complete transaction history of different types of records. The validity, uniqueness, and integrity of the stored data is preserved, without the need for a trusted third party to verify it. As such, blockchain has peaked the interest of several enterprises, especially those in the finance and banking industries. Large tech players such as Microsoft and IBM have begun exploring the opportunities blockchain presents in the form of Blockchain as a Service (BaaS) solutions in order to incorporate blockchain technologies into their cloud offerings. Its no secret that the industry of blockchain based companies is still relatively young. Its future is currently being shaped by experimentation and R&D partnerships between large corporations and start-ups. The main driver behind the rise of blockchain apps, especially in the enterprise, is directly linked to time and cost efficiencies, that are still far from optimal in most industries. What is Blockchain as a Service ? A Deloitte survey conducted towards the end of 2016 concluded that Blockchain technology would become a crucial business focus for most industries in 2017. The survey, which involved 308 senior executives who were knowledgeable about blockchain, found that most of them placed blockchain among their organizations’ highest priority. 36 percent were convinced blockchain has the potential to significantly enhance system operations, by either increasing speed or reducing costs. 37 percent recognized blockchain’s formidable security features as the main benefit. The remaining 24 percent were of the opinion that it has the potential to facilitate new revenue streams and business models. While there is a consensus amongst enterprise tech decision makers that blockchain has immense potential to reshape entire industries, the adoption plan is not as clear or direct. Building enterprise solutions powered by blockchain is not a simple undertaking. The setup and subsequent operation of a blockchain environment involves major development and infrastructure challenges. Blockchain as a Service (BaaS) is an intriguing trend in the blockchain ecosystem that aims to ease adoption for enterprises. The idea behind it is that customers can leverage blockchain cloud solutions to create a network of their own applications and smart contracts while the cloud provider handles all the heavy lifting needed to keep the infrastructure operational. BaaS provides blockchain capabilities as a first class Platform as a Service (PaaS) services. From a functional perspective, a BaaS model enables developers to create solutions that effortlessly combine the aptness of blockchain with typical infrastructure and platform services like storage, messaging, middle-ware, and other functional building blocks of complex software solutions. Additionally, BaaS facilitates a seamless model to manage and scale a blockchain topology without the deployment of any proprietary infrastructure. Blockchain has gained a lot of momentum over the past few years, with good reason. As of Feb 2017, it was the second most-searched term on Gartners site, after a 400 percent increase in the 12 months prior. This shows an exponentially increasing interest in this rapidly developing market. 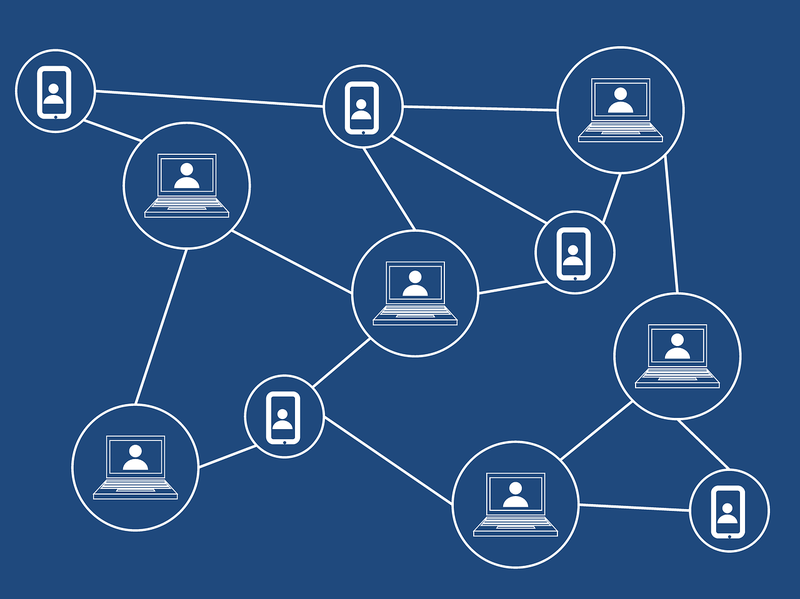 The entire blockchain market is predicted to grow at an annual growth rate of 61.5 percent by 2021, with immutability and transparency as the driving factors behind the growth. Another thing aiding in the expansion of blockchain’s reach has been the proliferation of blockchain as a service (BaaS) solutions from major providers. Microsoft first launched the Azure BaaS in November 2015. In 2016 it furthered its efforts with Project Bletchley blockchain middle-ware/ template, which was aimed at helping partners and customers build private consortium Ethereum networks. Microsoft is trying to aid business figure out the best way to build on top of BaaS with Enterprise Smart Contracts. The blockchain framework and middle-ware were created to help enterprises integrate and build distributed applications. Since Azure is a scalable, flexible and open platform, Microsoft claims to support a growing number of distributed ledger technologies that meet specific technical and business needs for performance, security and operational processes. They also claim the the Cortana intelligent service is capable of providing unique data analysis and management capabilities. IBM’s BaaS service is based on the Linux Foundation’s Hyperledger Fabric. Hyperledger is an open source cross-industry effort to introduce blockchain to the enterprise; by utilizing it, IBM hopes that developers will be able to rapidly build and host secure blockchain networks through the IBM cloud. In order to solidify security, IBM blockchain is underpinned by IBM LinuxONE, a security based Linux server. The IBM blockchain platform claims to be the only fully integrated enterprise blockchain platform built to accelerate the governance, development and operation of multi-institution business networks. IBM plans to offer a framework for cooperate blockchain networks, that automatically scales as members are added to it. The company states that its blockchain platform will be capable of supporting large user ecosystems and transaction rates. Shortly after joining the Linux Foundation’s Hyperledger project, Oracle added blockchain as a service to its cloud offering. The plan to launch the service was initially announced when it joined Hyperledger in August 2017. Its goal at the time was to provide an advanced and differentiated enterprise-grade distributed cloud ledger platform for consumers looking to create new blockchain based apps and/or grow their current IaaS, PaaS, SaaS and on-premise applications. Conspicuously missing from the list of major BaaS providers is AWS. In 2016 AWS announced a collaboration with the New York City based Digital Currency Group (DCG), to provide a blockchain (as a service) experimentation environment for enterprises. So that the blockchain providers on the DCG portfolio can work with their clients, who include insurance companies and financial institutions, in a secure environment. However, this strategy is yet to end up with the development on a new BaaS platform within AWS. Scott Mullins, AWS head of worldwide financial services business development, says that their company is closely working with blockchain providers and financial institutions to prompt innovation while facilitating frictionless experimentation. Google has also been relatively quiet it matters concerning blockchain. However considering the direction other PaaS incumbents are going; we are likely to see BaaS capabilities incorporated into Google cloud in the future. On the 31st of October 2008, the still mysterious Satoshi Nakamoto (probably a pseudonym for an individual or group) published a white paper introducing the concept of a peer to peer digital cash system referred to as Bitcoin. Bitcoin marked a radical shift in the finance industry. It offers enhanced security and transparency by authenticating peers that share the virtual cash, generating a hash value, and encryption. The global financial industry, predicts that the market for security-based blockchain is will grow to roughly $ 20 billion by 2020. Blockchain is widely known for powering crypto-currencies; it is the data structure that enables Bitcoin (BTC) and other upcoming digital currencies like Ether (ETH) to burgeon via a combination of decentralized encryption, immutability, anonymity, and global scale. However, its uses go way beyond that. In a nutshell, blockchain refers to a continuously updated record of who holds what. A blockchain is a distributed data repository or ledger that is decentralized and available for everyone to see and verify. In order to understand it in the context of a trust economy; you can equate it to public ledgers that were used to in towns to record important things like the transfer of property deeds or election results. Blockchain simply utilizes advanced cryptography and distributed programming to effectuate similar results. What you have in the end is a system with trust inherently built into it – a transparent, secure, immutable repository of truth; that has been built to be highly resistant to manipulation, outages, and unnecessary complexity. This consistent record of truth is facilitated by the shared and cryptographic nature of the ledger. Blockchain’s social perception mainly revolves around crypto-currencies. Most people get encumbered by its perceived technological complexity, dismissing it as something for the intellectual tech-savy; but its basic concept is universal and simple. Its immense potential is nothing short of revolutionary. From financial ledgers and contracts to monitoring and securing all manner of data in the next generation of distributed applications. Blockchain is creating waves in the enterprise software market, with companies like Microsoft and IBM leveraging it in developer environments, cloud platforms, Internet of things (IoT) technology and more. Ethereum’s blockchain tech has largely been the gateway, nonetheless, tech giants are firmly in the blockchain business. The collective finance and banking industry is also adopting blockchain transactions in the form of smart contracts. Blockchain was listed as one of the top trends in the Gartner hype cycle for 2017. The hype cycle takes a close look at technologies that have the potential to significantly increase a company’s competitive edge. According to Gartner, this technology will lead to the reformation of entire industries in the long term. Companies that are at the forefront of disruption, view blockchain as the driving force behind it. This was the key takeaway from a study of 3,000 executives, done by IBM’s Institute for Business Value, which examined the enterprise potential of blockchain. The survey concluded that 33% of the executives were already considering or had already adopted it. Most of the surveyed executives were counting on it to provide a competitive advantage – while creating a platform approach to innovation. Cloud computing has been widely adopted in virtually every facet of IT; one can’t help but wonder how the decentralized and security features of blockchain technology can be used to further enhance the clouds appeal. Whenever CIOs begin discussing moving critical applications to the cloud, terms like security, compliance, accountability, reliability, auditability, and acceptance of liability among others, are thrown around. The main point of contention lies in the demand that there is a secure supply chain and that each step in that supply chain is verifiable in real-time, and when things go south it is possible to find out what went wrong and someone can be held accountable. Introducing blockchain into cloud computing creates a convenient service that offers enhanced security. A key characteristic of blockchain is that it was designed to be synchronized and distributed across networks. A blockchain based decentralized cloud facilitates on-demand, low-cost, and secure access to some of the most competitive computing infrastructures; while protecting your files, both on the nodes and in transmission, by utilizing encryption and cryptography. A major reservation for organizations when migrating to the cloud is trusting third parties to secure sensitive, private data. For most cloud experts, the biggest draw to blockchain is the elimination of intermediaries. 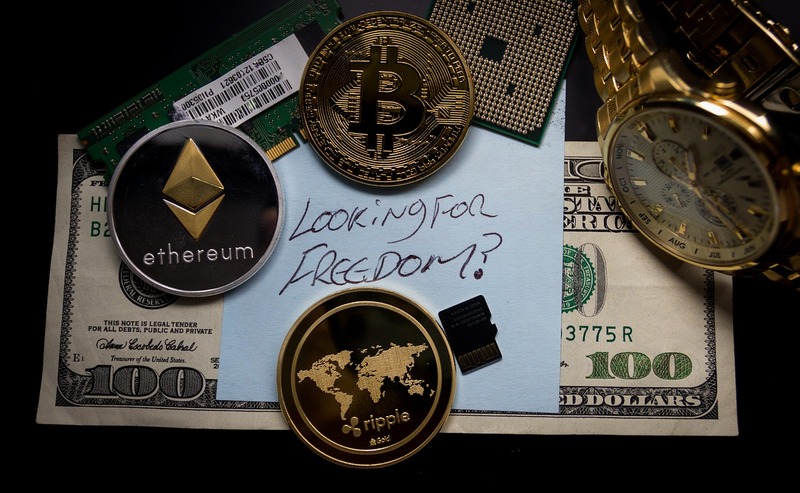 Mainly due to the fact that a well-designed and publicly accessible blockchain can easily replace most of the functions performed by intermediaries to ensure a secure environment, free of fraud. On a decentralized ‘blockcloud’ , where data is stored on multiple individual nodes intelligently distributed across the globe, it is virtually impossible to cause meaningful disruptions. Blockchains like Ethereum provide a different approach to running distributed applications. Using Ethereum, developers can write smart contracts – code that is executed on the blockchain virtual machine, whenever a transaction is fired. The Ethereum blockchain inadvertently provides a distributed run-time environment with a distributed consensus over the execution. Blockchain’s power doesn’t lie in its heavy encryption; its distributive nature makes it hard to manipulate. It is essentially a sequential storage scheme that can verify itself, making it the ideal solution for immutably recording transactions and much more. While everyone remains fixated on the AI buzz, the blockchain is a dark horse that is running under the radar.